Emulators and simulators have been around us for years and developers all over the globe use these technological marvels to test their apps. 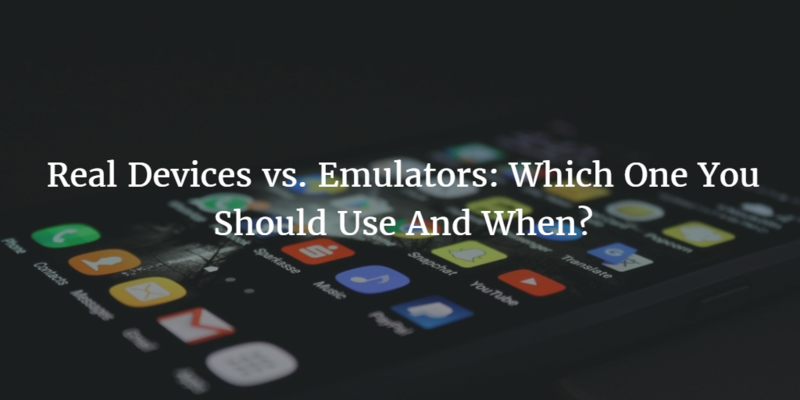 However, in current ecosystem of iOS and Android which is drastically different than the development environment of few years ago, is it still a good idea to use Emulators or simulators? Before we move forward let’s clear the difference between an emulator and simulator. Usually these terms are used interchangeably in many occasions yet in development world their true meanings make a big difference. Emulators are used to mimic the real device, its software and its hardware. On the other hand the job of a simulator is to provide a software environment to run the app. It only impersonates the software part of the device. As you can anticipate, emulators can run the exact same app without any modification but simulators can’t because of the hardware limitations. Let’s see some advantages and disadvantages of simulators and emulators. Emulators can simulate both software and hardware but simulators can only do this with the software part. Emulators can run the code without any modification while simulators have limitations in this area because based on the hardware they are using they might need a modified code to run it smoothly. Emulators can help in finding abnormal behavioral pattern in the app but simulators can’t because the tester wouldn’t know whether this unexpected behavior is due to the simulator or because of some bug in the app itself. Emulators are very slow as compared to simulators because of the nature of their job. In many cases, the performance of simulators makes a big difference. Emulators are hard to configure and maintain as compared to simulators. Emulators are only available for certain platforms and they have more limitations than simulators. Simulators deliver results for analysis but because of the incomplete date, it is always a possibility that many bugs would be overlooked. So, Real Devices Are a Better Alternative, Right? Of course real devices are a way better option than emulators and simulators for the testing purposes if we don’t consider the other factors in equation and that’s where the “but” part comes in. Following are some advantages and disadvantages of using real devices. Real devices provide real environment and that’s the biggest advantage of using real devices for the testing purposes. By using a real device, developer or tester can see the exact behavior of the app which end user would see on his device. Actual devices use all hardware like GPS, network, Bluetooth and many others in real time that makes it easier (and in some cases possible) for developers to find unexpected behavior of the app. Testing on actual devices put significant impact on the overall user experience. Considering improving user experience is one of the biggest challenges nowadays, it is beneficial to use real devices for testing. In most of the cases, real devices perform faster than emulators and simulators. In other words, the real device run the app in real speed that user would experience. The app must run on the target audience devices at the exact speed that developer intends it to run. Real devices allow developers and testers to use sensors like orientation, gyroscope and others. Sometimes, because of the inefficient code or some other reason, the app uses excessive amount of resources like battery power, CPU, GPU and RAM. Although most of these things could be caught on emulators too but battery drain is a serious issue that is almost impossible to catch on a simulator or emulator. In some cases, the developer might want to test the app against incoming interrupts like incoming email, message and call. In those cases, a real device is needed. 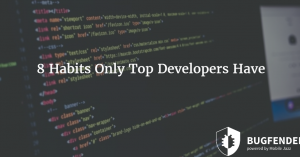 The biggest disadvantage of using real devices for testing purposes also make it extremely difficult and expensive for developers to use them as testing platform. There are thousands of different models of Android devices (although models of iOS devices are way less than that but the problem is in iOS platform too) and testing on multiple models is not only frustrating and time consuming but also expensive. Of course you should also considering the resources spent on the maintenance of the real devices. It might be difficult to get the actual devices considering they are not released in your country yet. Yes, and interestingly this solution can overcome all the issues associated with using emulators, simulators and real devices. That is remote testing platforms like Bugfender. You might have heard of crash reporting tools but Bugfender is one step more than that. 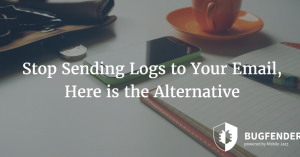 Crash reporting tools only report total failure but not all bugs result in total failure – that’s where remote logging tools excel. 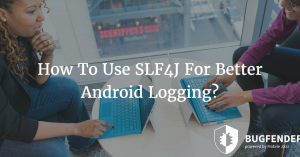 By using remote logging tools like Bugfender, you can test your apps on real devices used by real users located thousands of miles away. as_websummit Created with Sketch. as_tesco Created with Sketch. as_vorwerk Created with Sketch. as_autodesk Created with Sketch. as_intel Created with Sketch. as_volkswagen Created with Sketch. as_starbucks Created with Sketch. as_aimail Created with Sketch.